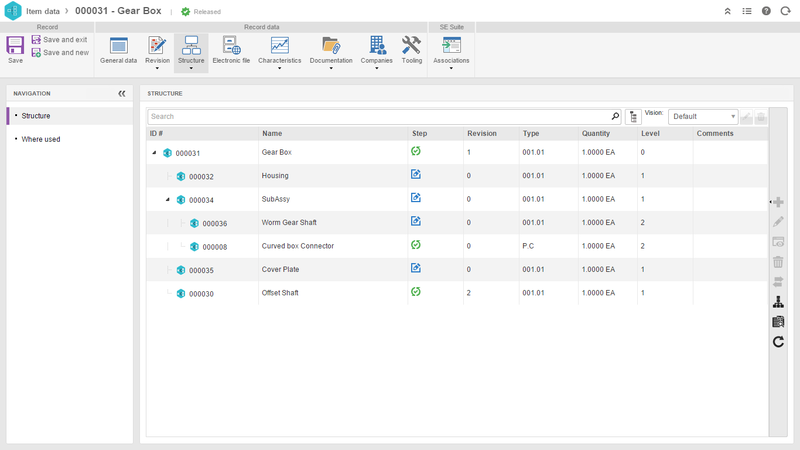 SoftExpert PDM is a fully integrated, automated product management solution that collects and centralizes product data, bringing together all of your stakeholders and giving the organization advanced reporting capability. It provides the technology and processes needed to capture and manage consistent, accurate and reliable data about your products. The solution streamlines the most tedious and time-consuming aspects of product management, reinforces decision-making process with facts and connects all of your stakeholders to a centralized information database. SoftExpert PDM also offers a complete end-to-end solution to manage all aspects of a product’s lifecycle, as well as enabling the organization to control the enormous number of electronic documents that they produce. Most importantly, software enables organizations to improve overall quality, and reduce costs and risks associated with a growing number of regulatory compliance and corporate governance processes such as those related to the ISO 9000, IATF 16949, FDA 21CFR Part 11 and others. 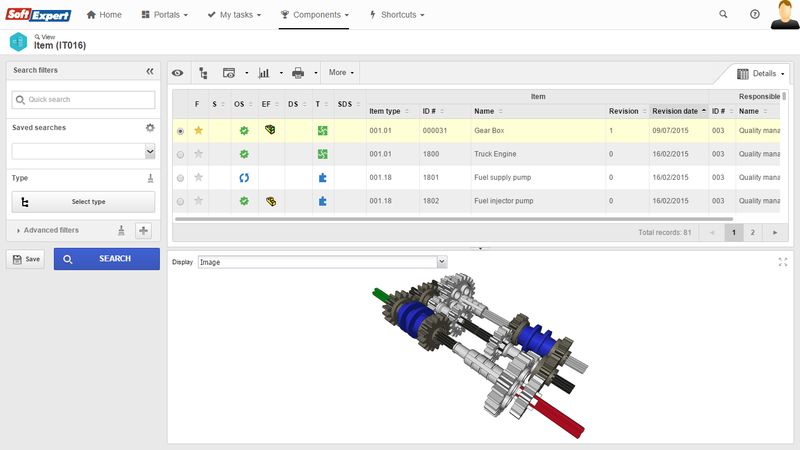 Supports unlimited product types, product attributes and specs, categories and subcategories, product images, product relationships, and more. 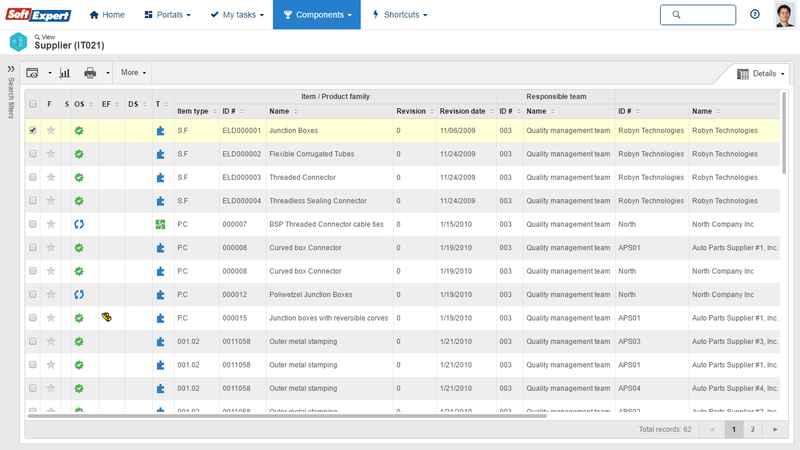 Customizes data quality routines to meet your company's inventory or product nomenclature and protocols. Provides work break-down structures and allows coordination between product-related processes, resource scheduling, and project tracking. Supports role-based access control in order to ensure that only authorized personnel can access or change product information. Tracks every event performed in the system as well as who did what and when, and how and why each change was made in any product record. 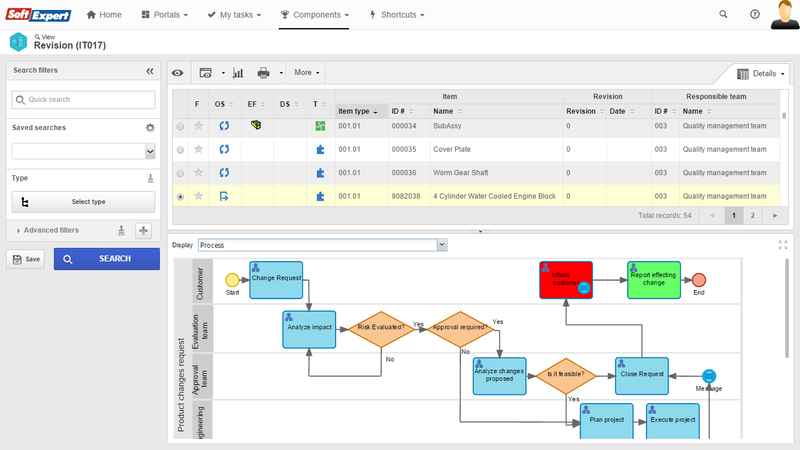 Workflow functions that enable users to become active participants in product development, design reviews, engineering change orders, approvals and other product-related processes. Access to product/part information including change history, manufacturer and supplier part numbers, authorized suppliers, and other product related information. Interfaces to external systems including manufacturing, CAD, CAE and SDE systems. Maintains an extensive audit trail of all activities performed in the system, which is essential for regulatory compliance. Provides powerful search capabilities which allow users to instantly list and link to products by category, manufacturer, maintenance or warranty expiration, and many other fields.